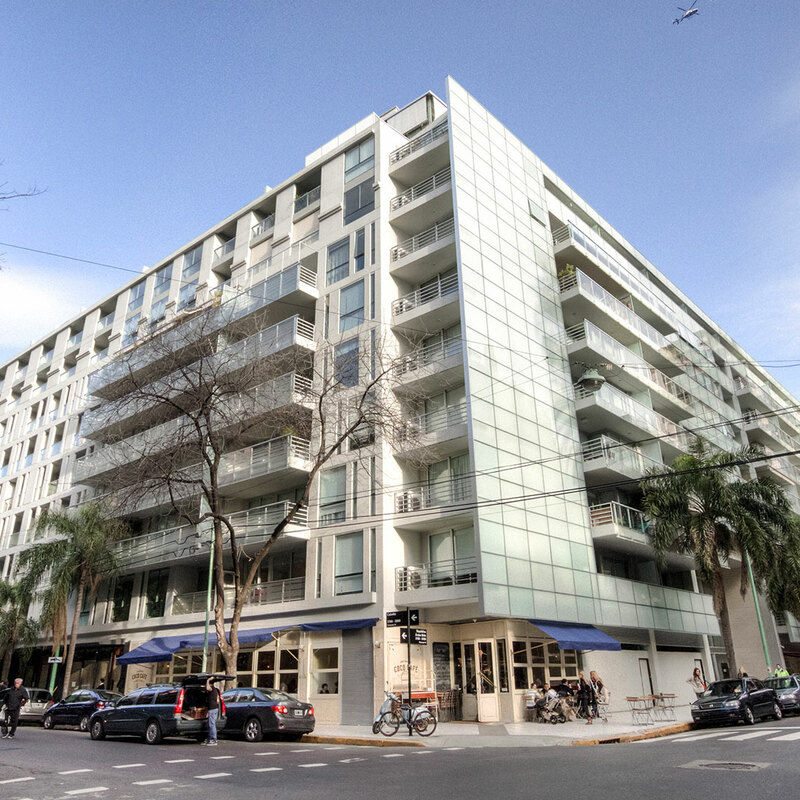 Buenos Aires is home to a mind-boggling number of so-called boutique hotels. What’s to set one apart from another? Size, for one: some have five rooms, others fifty. And details that vary from one hotel to another — a fashionable rooftop bar, a great spa, a heated outdoor swimming pool, complimentary tango lessons. Oh, and the obvious — location, location, location. 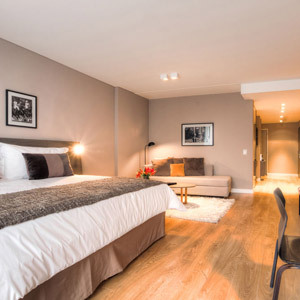 CasaSur Bellini has the latter sorted out: the new eighty-room hotel, younger sister to the well-established CasaSur Art Hotel in Recoleta, has a highly desirable location in the heart of the leafy, well-heeled neighborhood known as Palermo Botanico. It’s just around the corner from the zoo, the Evita museum, and the botanical gardens, surrounded on all sides by adorable sidewalk cafés where beautiful people linger over lemonade. Inside, past the reception desk and the sleek bistro that doubles as a breakfast room, is the CasaSur Bellini’s most notable selling point. And it’s notable, indeed, when a baking-hot sun shines over the city from mid-spring through fall: a courtyard swimming pool surrounded by elegant chaises longues. B Buenos Aires standards, it’s a large pool, and it’s properly heated, and it’s well-protected from direct sun for most of the day. Upstairs, guest rooms are also more spacious than the neighborhood standard. The look is classically modern, with a polished Argentinian twist: crisp white beds with wool throws, framed black and white polo photos, compact bathrooms with thick towels and rainforest showers. Another perk? All come with private balconies and stylish kitchenettes stocked with champagne flutes, stemless wine glasses, and a bottle opener. Take the cue and pick up a bottle of Malbec at one of the neigborhood’s many shops and markets. All told, the CasaSur Bellini is a welcome addition to the city’s somewhat crowded lineup of boutique hotels. Don’t get lost in the fine print — just remember that this particular hotel has two big things going for it: Palermo Botanico, and the pool.